Camping Le Chatelet är en camping i Saint-Cast-le-Guildo, Côtes-d'Armor, belägen vid havet. Denna terrasscamping har platser med stängsel, med skugga, utan skugga och platser med lite skugga. Camping Le Chatelet ligger i närheten av en sandstrand. Det finns möjlighet att hyra husbilar. På campingen finns en lekplats och ett sportområde. För den sportige semestervandraren har campingen guidade vandringsturer och olika cykelleder. Det finns ett underhållning. Vem vill inte efter en hård dag slappna av i ett beautycenter. Campingen förfogar över en inomhusbassäng med skjuttak och ett knattebad. I den närliggande omgivningen kan du också simma i havet. I Camping Le Chatelet är det tillåtet att snorkla och vindsurfa. Denna inspektör gör varje år ett besök på Camping Le Chatelet och inspekterar campingen för ca 200 faciliteter och för andra förekommande punkter. Inspektören är en medarbetare från ACSI och arbetar inte för campingen. Wow, what a wonderful site. Fantastic views across the bay. The site is tiered as it is set on a hill so expect a few uphill walks. We arrived without booking and were given a front row pitch which was amazing, checked in for maximum 5 nights only to be told after we had pitched up that we could only stay on that pitch for 3 nights then we would have to either move to another pitch or leave. Sadly we decided that if we had to pack up and move we may as well leave. Very disappointed as it really is a lovely site. My advice is book ahead (which you can do on this site with ACSI card) to ensure your pitch. I fail to see how this campsite gets such good reviews.... not enough toilet facilities (even people with campers/caravans use the site loos! ), the pitches with excellent views are the same price as other pitches looking onto the back of other campers or the toilet roofs.... other reviewers mention vomit in the washbasins and a disco that can be heard throughout the site until 1 am! Not recommended! This is a beautiful site with very friendly staff. The bar has wonderful views across the bay to Fort Lalatte and the 'take-away' restaurant will deliver to your table in the bar, so there is no need to trek down to town to find a restaurant. Pitches are spacious and well screened, with a choice of sunny or sheltered plots. We've made three visits and will come again next year. One of the nicest sites I’ve visited. Extremely friendly and helpful staff on this superb site, the terraced pitches have views across the bay. Parked our van side on with the awning facing the sea we saw the most amazing sunsets. The view from our pitch would be hard to beat anywhere. The facilities are top class, fabulous pool area, lovely garden area where there are chairs also for lying out on. In 26 degrees this was very welcome. The toilet blocks were spotless and were kept clean regularly. We cycled to Cancale highly recommend to anyone. A real French fishing village selling oysters freshly landed. The day we visited there were singers raising money for the lifeboats. The atmosphere was great. The campsite has easy access to the beach through a lane by the side of the site. Very well maintained site with good facilities for food and drinks. A lovely terraced area near the pool to sit and chill with lots of different shapes and heights of chairs. Very well designed site with fishing lake and lots of space. We cannot wait to return next year and stay for longer than the three nights we got to stay for this year. Well done. We stayed here in our motorhome, and where given a lovely pitch overlooking the fishing lake as we did not required a sea view, but prefered to be near to the disabled facilities, these were by the swimming pool, which were very good but also could be used by people from the pool. Yhe site was not fully functioning as regards entertainment, but for us it did not matter. I must point out that the "short walk to the beach" is a very steep grass track, followed by some steep steps, which many people with small children were struggling to cope with, as was the walk into town. A lovely site well maintained but not for us. Vill du boka campingen Camping Le Chatelet eller få mera information? Det går bra med nedanstående uppgifter eller via campingens webbsida. 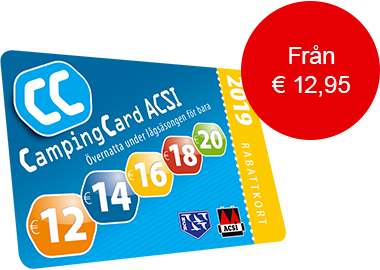 ACSI Eurocampings skickar din informationsförfrågan till "Camping Le Chatelet".